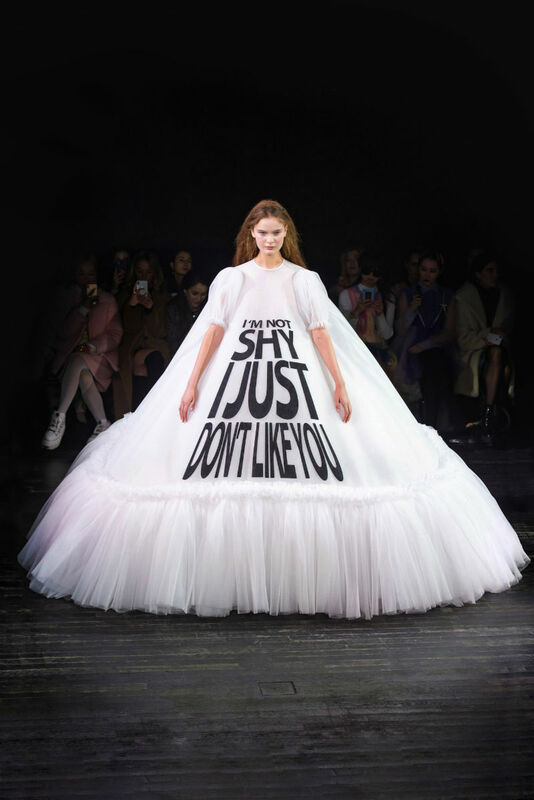 When fashion week comes to mind, you usually think about scantily clad, thin girls with emotionless faces in chic, high end, but somewhat predictable looks. 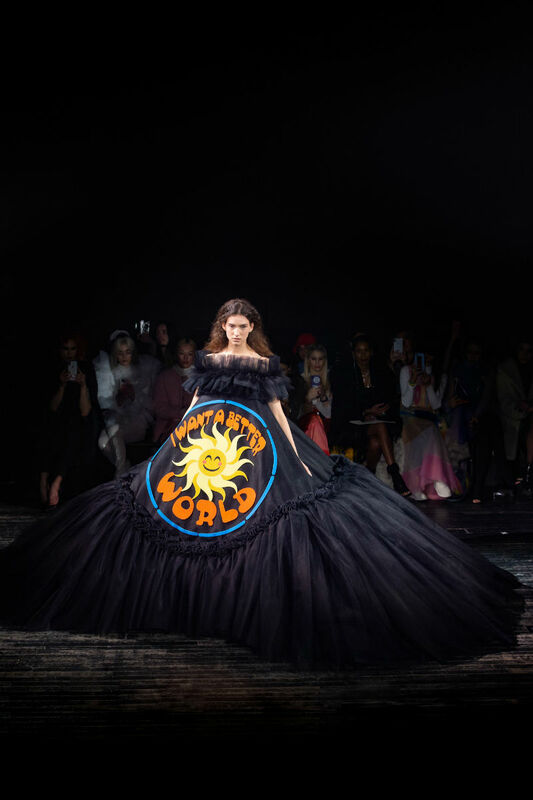 But Viktor and Rolf chose a more unique route for their Spring/Summer 2019 collection. 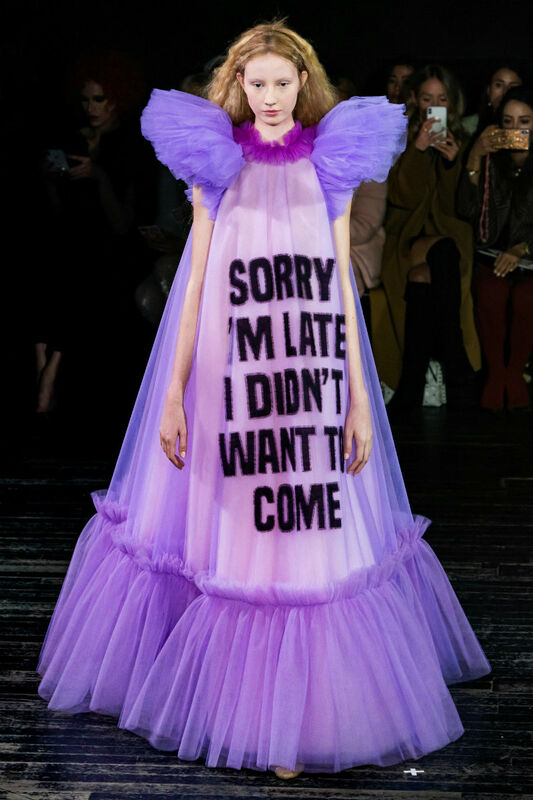 The social media world is used to memeify-ing ridiculous fashion looks, or anything else they deem worthy of commentary. 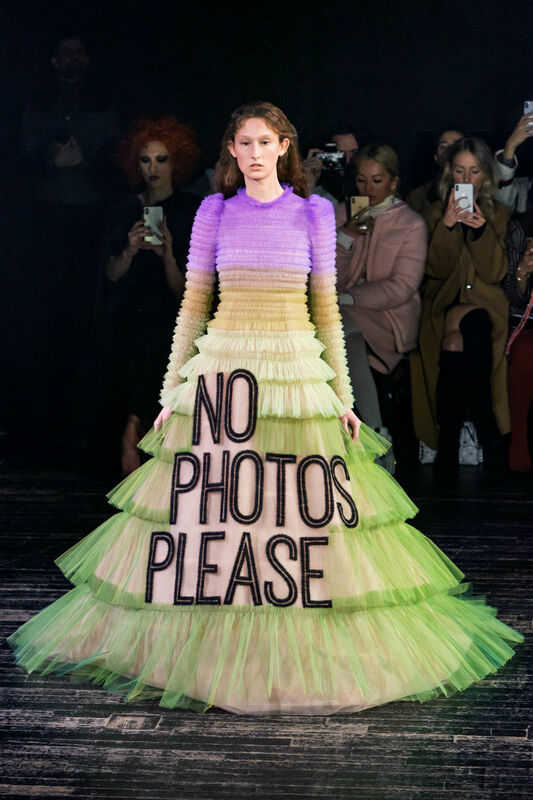 Victor and Rolf decided not to let that happen to them, and instead, look the memes into their artful, designing hands. 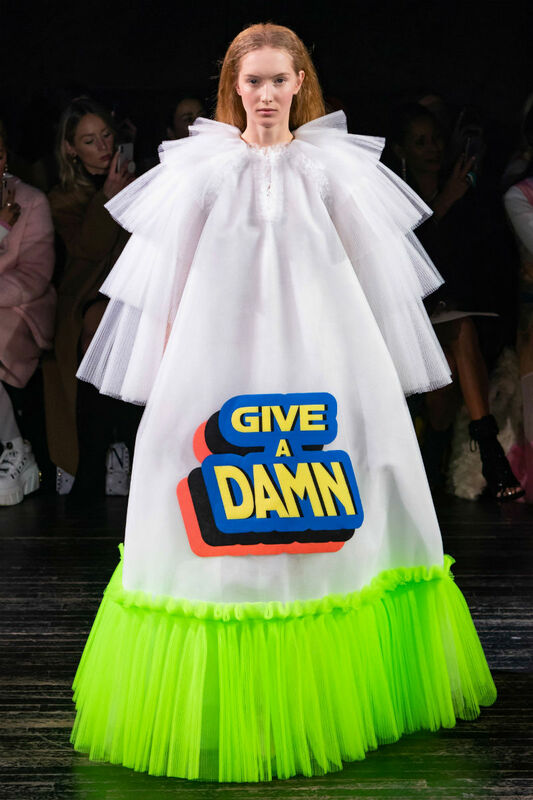 Bringing to mind the instagram account @betches and other sassy feminist slogans seen on social media, V&R used huge, billowing gowns a la Zoolander, with massive black slogans in all caps, inspired by these girl power memes. 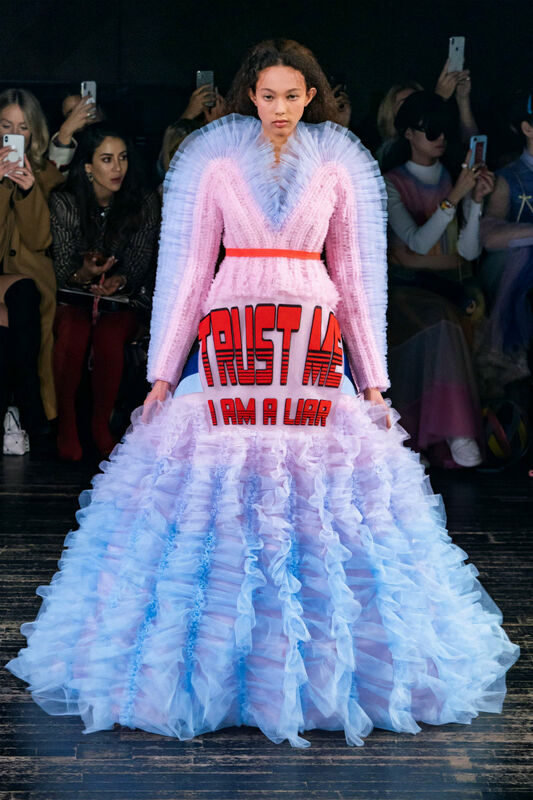 Of course, the dresses went viral, and even still inspired memes with celebrity’s heads superimposed on outfits with their own notorious quotes in place of the slogans. 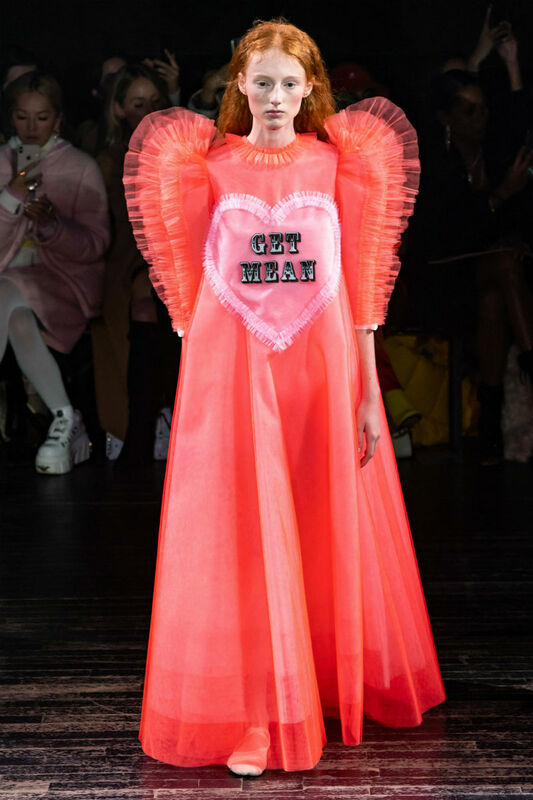 Angry feminism is apparently in fashion, and we’re obsessed with it. 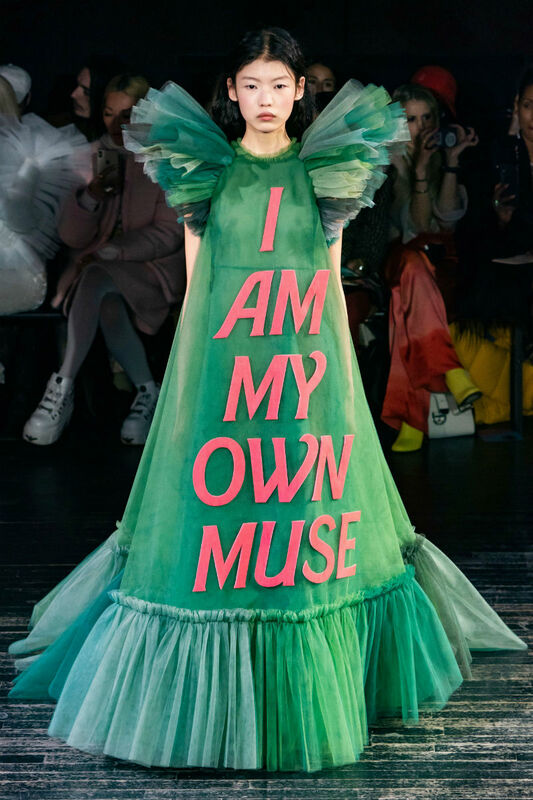 This feel like the first time a fashion brand has really had women’s’ backs in a long time, but is also managing to bank off of it! 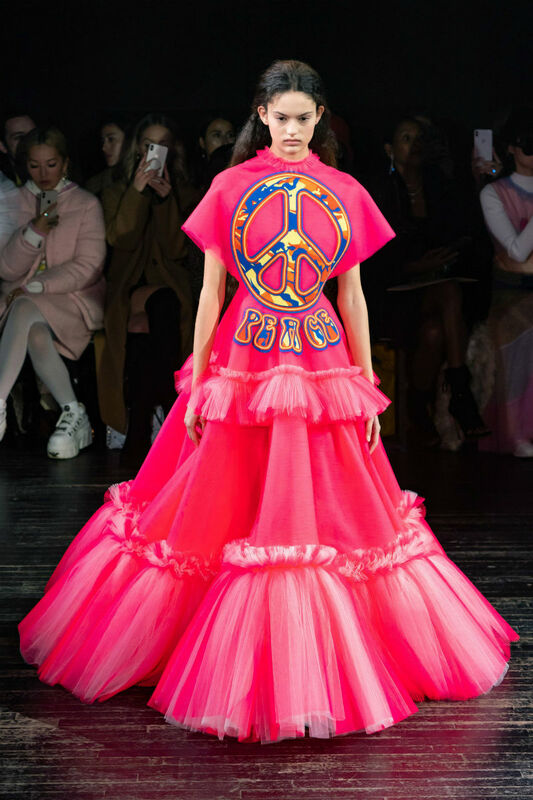 Inspiring many to speak their mind and igniting yet another meme revolution online (this time fueled by Viktor and Rolf), it seems as if we have found our heroes for 2019. 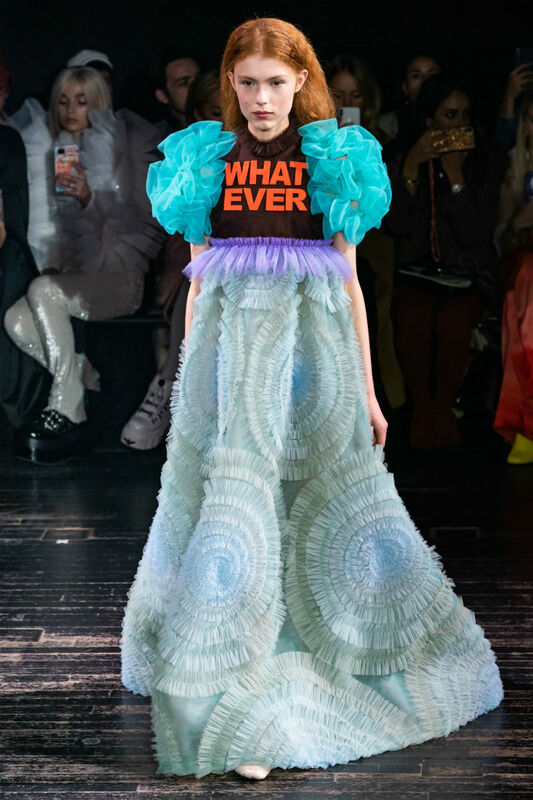 We understand there aren’t the most wearable looks and have more of a social and cloture impact, but we’d still want to swap our wedding dresses out for this if we had a chance. 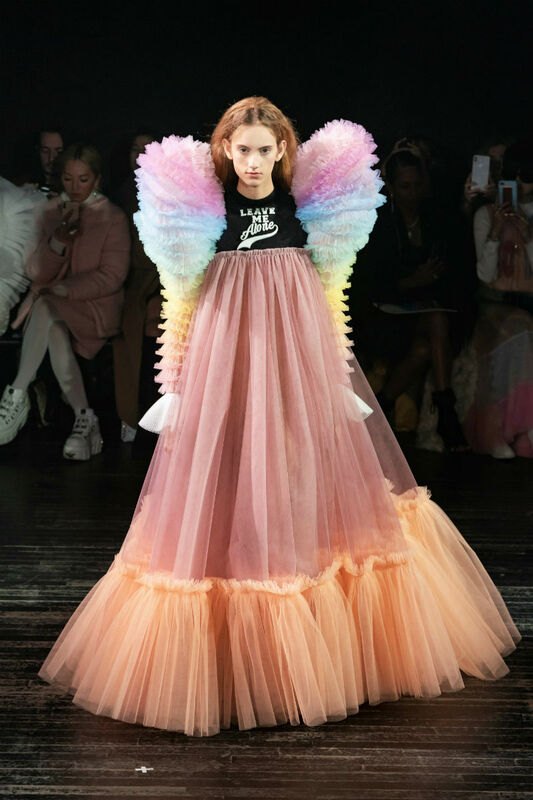 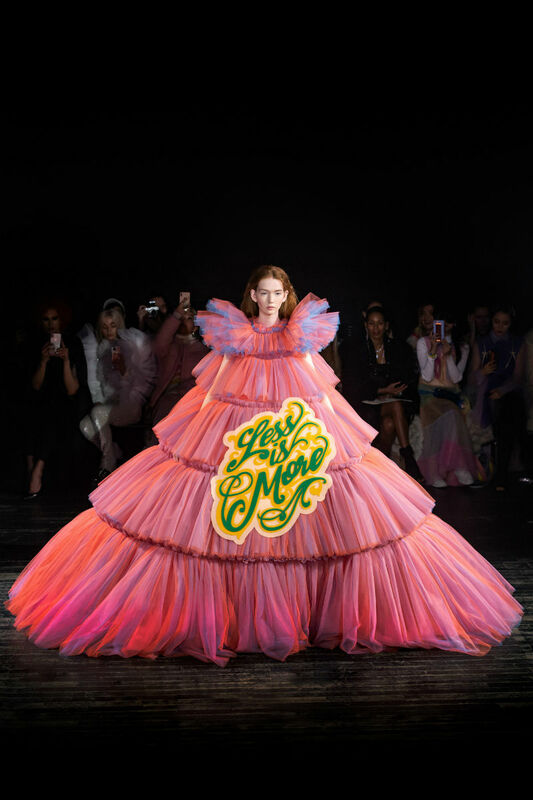 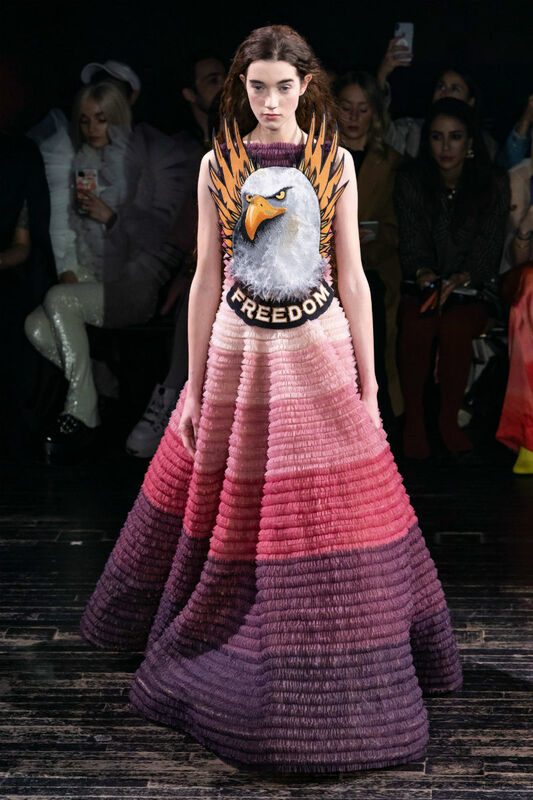 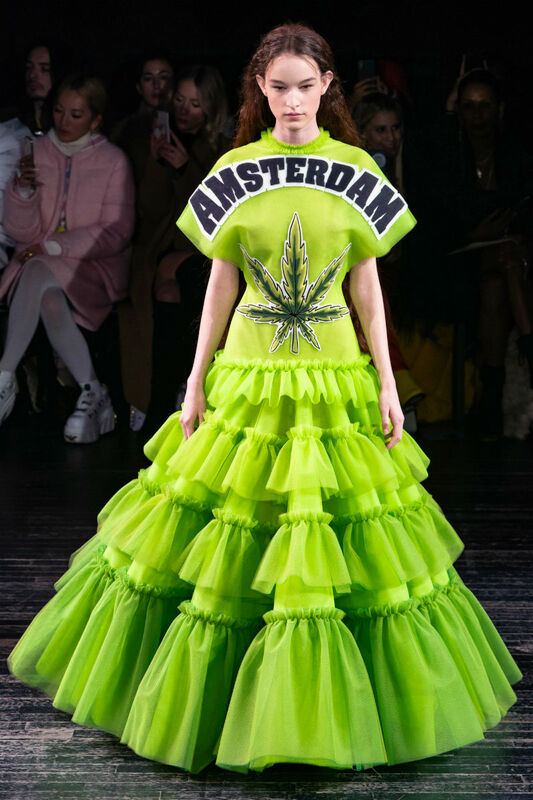 These gowns provide a Jeremy Scott-like pop culture fix that many fashion lovers yearn for, but it also makes a poignant statement about the male gaze and how women are supposed to react, versus the rebellion of when they actually do. 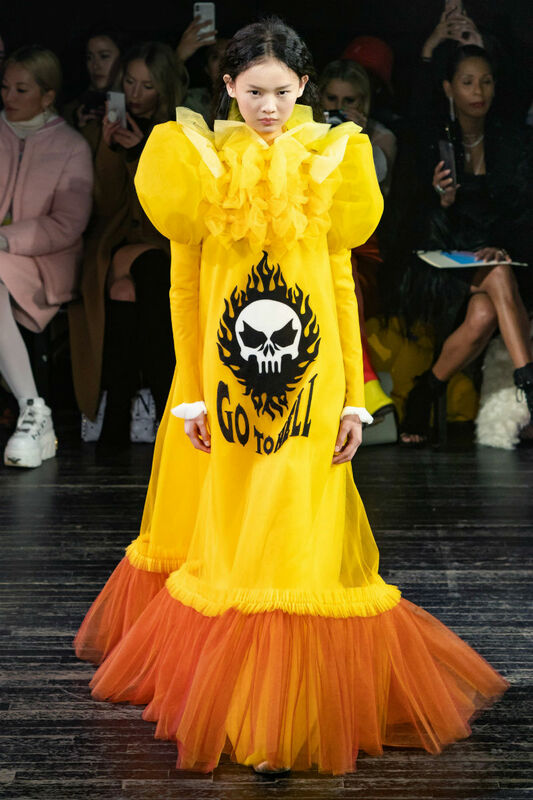 Honestly, our favorites are the burning skull that say “Go To Hell” as one as the mountainous, mini-mini-pleated tulle look that shouts “NO”. 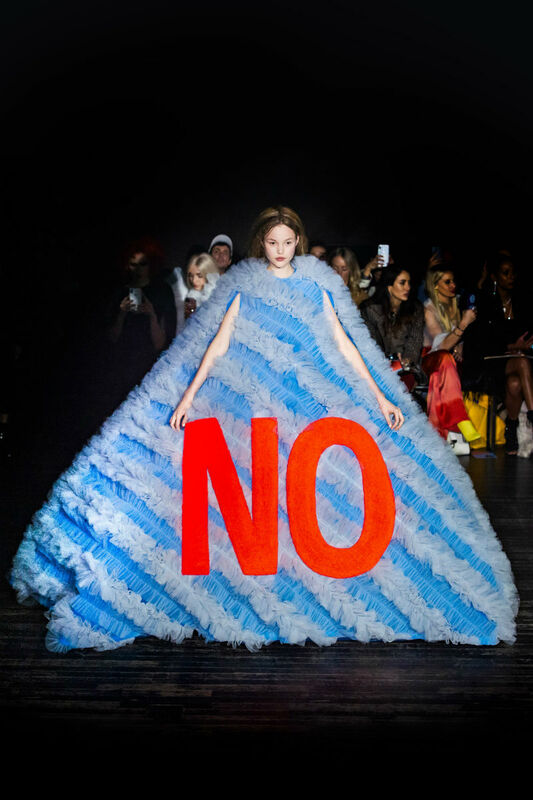 It’s a reminder that we deserve and demand respect, consent, and ultimately, just to be listened to! 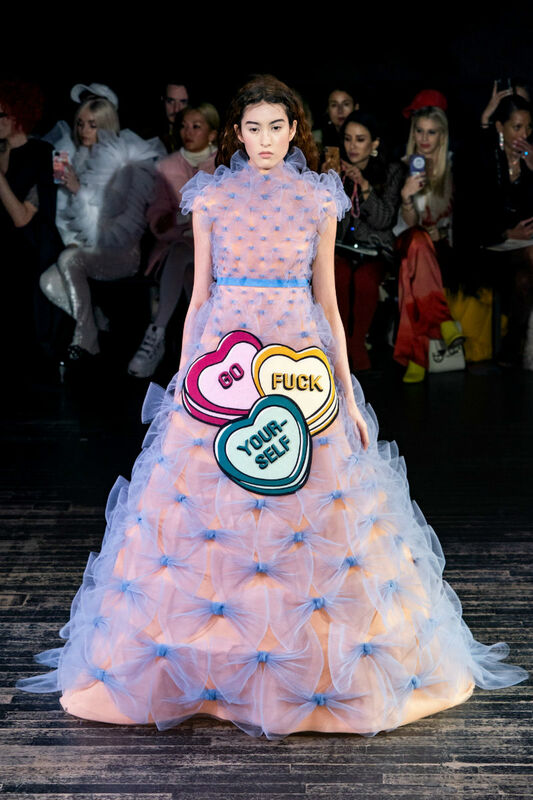 Their tongue in cheek looks and sublime editorial aesthetic is everything we love about fashion – a middle finger in the face, and a fantasy we won’t be able to forget. 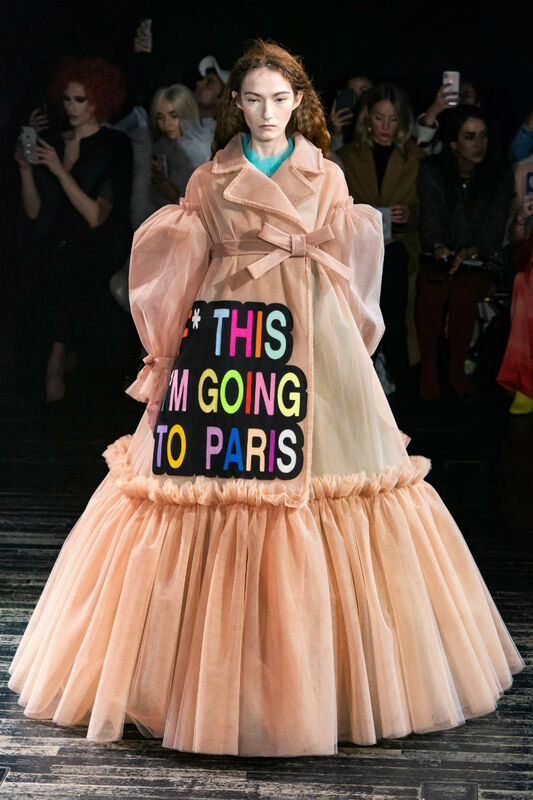 This line really signifies the true meaning of couture as well as the fascinating fact that we’re smack dab in the middle of a generation that responds most acutely to social media marketing.